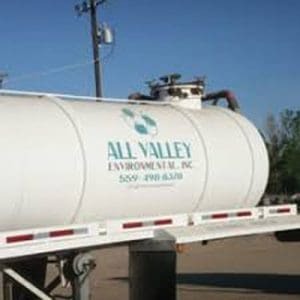 Serving hundreds of customers in the Fresno area, All Valley Environmental Inc. is based in the Central Valley of California. The company is committed to the sustainability of California with a unique operation of a 100 percent diversion rate from landfills. Established in 2001 and accepting green waste from waste haulers, landscapers and even home owners, Green Valley prides itself in offering sustainable solutions to assist in landfill diversion. Green Valley Recycling is committed to “Closed Loop Recycling”, meaning that green waste accepted at the facility is made into OMRI certified Organic Compost available for purchase. All Valley Environmental and Green Valley Recycling have a commitment to customer service as a top priority. Looking to increase their bottom-line profit, Kochergen took an appointment in 2017 with Payzone Systems agent, Jim Woods and he discovered that Payzone had an automatic and legally compliant way to offset the cost of taking credit cards from his customers. Utilities, gas stations, schools and many government agencies have been doing it for decades, thanks to special business classifications with the card brands and rules allowing cost recovery. However, Kochergen was not aware that recycling facilities could do this legally, and he did not know what risks or trade-offs there might be if he switched to this form of payment processing. “When we found this could reduce our costs by 2 percent, that got my attention. We’re always looking for ways to protect and add to our bottom line. I trusted my rep, Jim, who explained how it all works. He showed us examples and made a simple plan for the switch,” he says. Payzone Systems, headquartered in the San Francisco, CA Bay Area, is an independent sales organization for core credit card and ACH payment processors such as Elavon, TSYS and others. Payzone Systems tailors its solutions to fit the needs of large and small clients across many different industries, retail, B2B, education and government entities. Very little was required of Mike’s staff during the transition. There were no real upfront costs and Payzone offered many ways to accept payments, including electronic bank transfer. Payzone provided the company with a new counter top credit card terminal with their proprietary cash discounting software. Kochergen kept it simple, accepting cash, checks and cards. The change produced the results he was promised from the day it was implemented. “It was about time someone figured out a way to get the costs to ‘0’ on credit cards for operators like us,” says Kochergen. When Kochergen is ready to add electronic invoicing and payment, he can easily add that too. 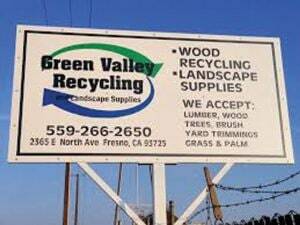 All Valley Environmental and Green Valley Recycling both have a commitment to customer service as a top priority. Photos courtesy of All Valley Environmental and Green Valley Recycling. For more information, reach out to Brian Bennett. You can reach him by phone at (888) 639-1088 or e-mail info@payzonesystems.com.